Many families do not have an estate plan for varying reasons. 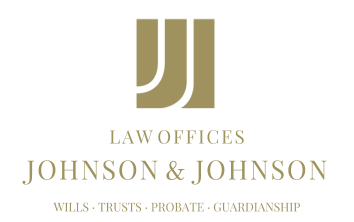 We have previously discussed how many people dislike the discussion of estate planning because they feel that death is an uncomfortable topic (“Discussing estate planning unpleasant for many Nevada families” — August 13). There are other families that may not talk about end-of-life choices because they are simply in denial about aging. It is imperative that families in Nevada understand that growing older is a natural part of life, but one that necessitates planning for the future. Some people will develop dementia as they age, which is a condition that takes many forms but typically results in the loss of a person’s memory and cognitive capabilities. It may inhibit a person’s ability to care for themselves and require that other family members step in to ensure that the person’s needs are met. If that person has not created an estate plan prior to the onset of dementia because he or she could not face growing older, his or her wishes relating to medical choices, living arrangements or financial decisions may not be honored. It may not be because the person’s family doesn’t care for him or her, but simply because they are not aware and that they were in denial that made it important to ask. Having a discussion with loved ones about their advanced age may not only affect potential estate planning but could relate to safety concerns. Older people who have dementia and are still attempting to manage their own care may not make choices that are in their best interests. If family members are in denial that the older person needs help, it may even escalate to having Elder Protective Services step in to manage the person’s care. Though it can be difficult to talk with an older person about important end-of-life choices, it is absolutely essential. If families in Nevada are having difficulty, there are ways they can seek advice and assistance on the best way to accomplish this crucial task. It is never too soon to talk about estate planning.